Be The Match is urgently looking for a stem cell donor for 29 year old Liyna, who has severe leukemia. All ethnicities are encouraged to volunteer, but the best chance of matching are donors with a South Asian background. Details are set forth above. 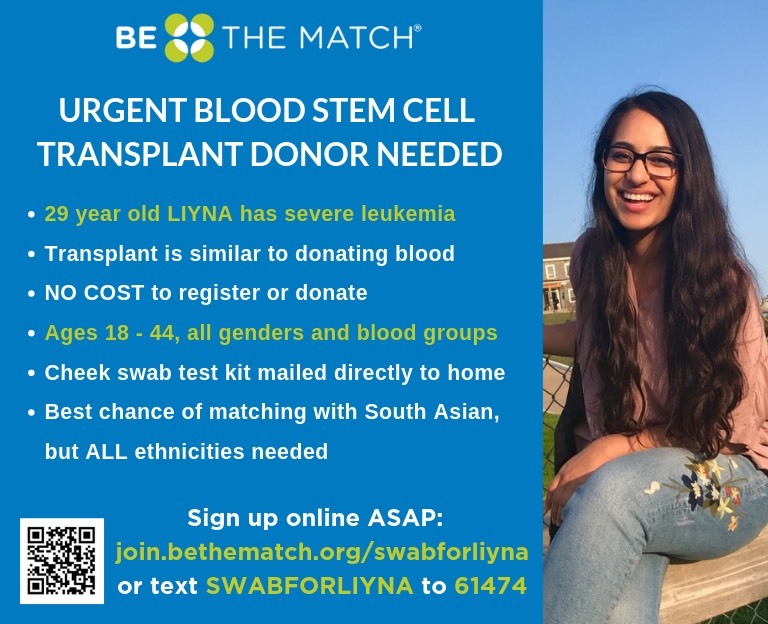 Sign up online ASAP at: join.bethematch.org/swabforliyna or text SWABFORLIYNA to 61474.